Step aside, Armageddon and Deep Impact: two films are in competition to be this generation’s seminal asteroid movie. Both offer crucial information about the asteroid threat to new audiences. Disaster Playground and 51° North are released widely on 30 June, the inaugural celebration of Asteroid Day — the anniversary of the 1908 meteorite explosion over Tunguska, Siberia. The event is meant to spread awareness of the threat of space rocks, repackaging the alarms that a small group of skywatching scientists have been issuing for decades. The novelty comes in how these films do it. 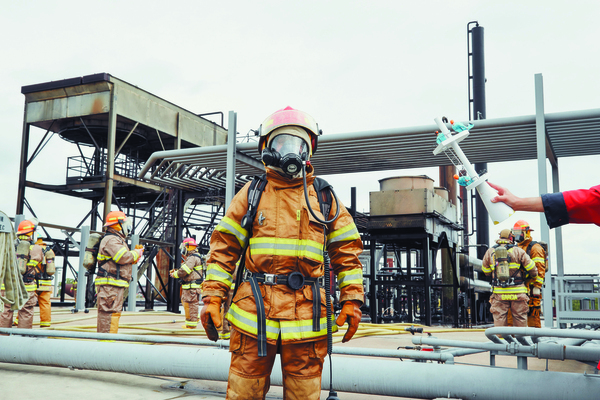 In Disaster Playground, firefighters train for an asteroid impact. Both explore the ramifications of what might happen if an asteroid were discovered on a collision course with Earth. Both feature a narrator who interacts with real-life asteroid experts in a variety of offbeat settings. Both are a far cry from conventional documentaries, being more mash-ups of scientific information with fictionalized narratives. Disaster Playground, directed by Nelly Ben Hayoun, is a visually arresting roller-coaster ride through California and the American Southwest, featuring interviews with high-impact scientists from NASA, the Sandia National Laboratories and elsewhere. It opens in Texas, with a cowboy and his horse startled by a huge blast. Ambulances and firefighters race through the debris left by the impact. Within minutes, meteor scientist Peter Jenniskens of NASA’s Ames Research Center in Moffett Field, California, is presiding at an official-looking podium, sombrely reading a statement about the disaster. In real life, Hayoun has the impressive title “designer of experiences at the SETI Institute”, the organization in Mountain View, California, that explores life’s place in the Universe. The film is certainly a designed experience. Hayoun ferries a bright-green toy dinosaur and a huge red telephone from interview to interview to represent the threat of mass extinction and the alerts needed to save the world from apocalypse. She uses offbeat camera angles, a pulsing soundtrack from rave band The Prodigy and title screens with giant capital letters to create a frenetic pace. Hayoun coaxes scientists into the closest thing they may ever achieve to performance art. Ames astronomer David Morrison recreates his influential 1993 speech to Congress on the asteroid threat; his boss, Pete Worden, breaks out a Viking helmet and shield as a backdrop for an otherwise staid office interview. Hayoun’s own appearances bind it all together as she hurries from shoot to shoot, pausing only to buy a pair of cowboy boots on her way to explore Disaster City, an emergency-response training centre in Texas, where search and rescue teams work their way through intentionally collapsed buildings. There is no time to wait when disaster strikes. Grigorij Richters‘ 51° North is similarly kinetic but much more self-absorbed. It centres on a fictional YouTube star called Damon, who becomes obsessed with the asteroid threat. His reality-show audience is gradually alienated as he turns from taping his girlfriend and his dogs to making show after show about space-rock disasters. That all changes when — well, no spoilers. But given the title and the fact that it is about asteroids, you can guess what happens to London. Richters has created a true millennial approach to the asteroid threat. Damon is constantly on camera: taping, uploading, tweeting, instagramming, sharing every moment. Brian May, Queen guitarist and astrophysicist, provides the soundtrack. There is some science. Damon interacts with many of Britain’s leading asteroid experts, and even tours the Spaceguard Centre in Knighton, the United Kingdom’s leading asteroid-information centre. He works in smooth explanations of the various strategies for diverting an asteroid on a collision course with Earth. Footage from the many Russian car cameras that recorded the Chelyabinsk meteorite strike in February 2013 fits the video-focused approach. Unlike in Disaster Playground, there is no wider discussion of what the end of the world means for anyone other than the self-obsessed Damon. Today, the cutting edge of asteroid science lies in pushing the limits of detection, searching for smaller and smaller risky space rocks. Scientists have pretty much nailed the chances of spotting any world-ending asteroid, a rock big enough to wipe out an entire region. What is left are the ones that can slip through the current net of telescopes and hit with little to no warning. As New Year celebrations welcomed in 2014, an asteroid a few metres wide entered the atmosphere and disintegrated over the Atlantic Ocean — all while many of the astronomers who would normally track it were on a holiday break. We do live in a disaster playground. As a boy, I was not interested in science; I was interested in girls. Upon graduating from high school in Hong Kong, I did not particularly want to work in science; I just wanted a job, because I rarely left the dinner table with my stomach full. For graduate school, I went to Columbia University with a scholarship. There, I was surrounded by Nobel laureates—Isidor Isaac Rabi, Polykarp Kusch, Tsung-Dao Lee—and laureates-in-waiting: James Rainwater, Jack Steinberger, Leon Lederman. The most important moment in my physics education was when I noticed Lee standing next to me in the men’s room, peeing. Nobel laureates are ordinary people, I learned, just like you and me. At Columbia, I was influenced by the student antiwar movement and the Cultural Revolution that was raging in China. I and several others (including Peter Kwong, now at Hunter College, and Jean Quan, who would become the mayor of Oakland, California) started the Chinatown Food Co-op; our aim was to “serve the people.” I wasn’t interested in solving small problems; I wanted to save the world, to return to China and join the revolution. I finally made it in 1978, at the beginning of the country’s “reform and opening up” movement. I was assigned to do physics at the Chinese Academy of Sciences’ Institute of Physics. In China, the spring of 1978 is called “Science Spring” because for 10 years science had come to a virtual halt. Basic science was banned. My colleagues and I resumed the work with great enthusiasm; if China was in ruins, we figured, the best option was to fix it. I helped open the door to the West, discovering bowlics—a type of liquid crystal—and publishing the first paper by mainland-only authors ever to appear in Physical Review Letters. We did not have journals—only copies of journals—and there was just one Chinese-made copying machine in the institute, which broke down every half hour or so. Everything was scarce, including tofu and writing paper, but we were not troubled by the minimal calories available to fuel us. We worked diligently, day and night, except on Sundays. Sundays were for washing clothes, by hand. China started sending scientists to the West—many to the United States—as visiting scholars and to international conferences. Among China’s billion people were dozens of notable physicists, but the number of excellent ones was smaller; I was the only government-approved doctoral mentor in liquid crystal physics. Physics research can’t be learned properly by reading books or papers; it should be learned by working alongside masters. China did have a few masters—those who had been trained in the West before 1949—but they were all busy establishing institutes or working on the atomic bomb. Today, China is making progress scientifically, but there is still some distance to go. The Cultural Revolution sacrificed a whole generation of scientists. Among all the problems this created, it led to a scarcity of experts who could act as academic judges. Qualitative assessment was replaced by counting papers—a poor substitute. The damage lingers. 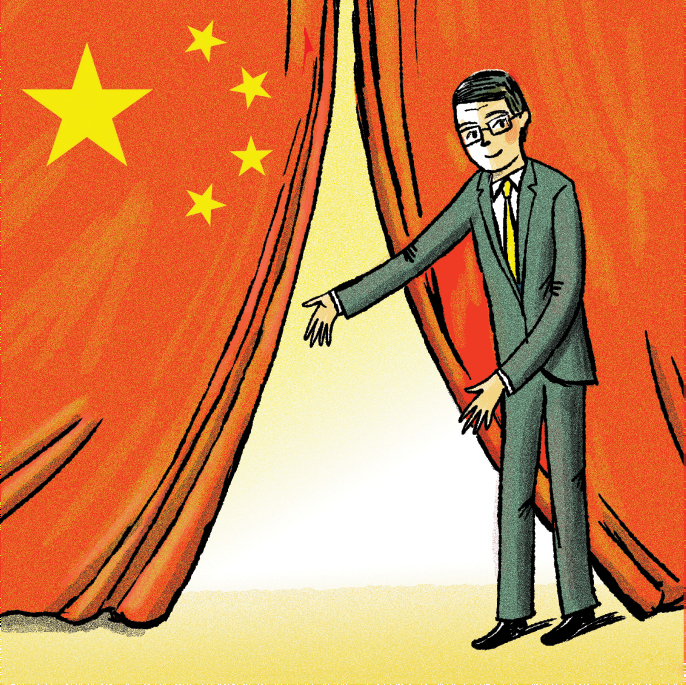 Lately, and happily, China’s priorities have shifted toward innovation. Innovation is not easy, though, in a culture that for 2000 years has prided itself on taking the middle course in everything, for the sake of harmony and stability. It’s the opposite of the Socratic method that’s at the heart of Western science. Great scientists like Galileo show that breakthroughs can be made even in environments that emphasize orthodoxy—but then no one was counting Galileo’s papers. China has very good scientists, but the country needs to find its way of doing innovative science. After 6 years, I left China and returned to the United States—not for scientific or political reasons, or due to material want, but for family. During a visit to the United States with our daughter, my wife announced that she intended to stay. Forced to choose between the motherland and a daughter, I chose my daughter. I left China on good terms. a, Comparison of treatment effects in the coin tossing task between bank employees, non-banking employees and students. The salience of professional identity caused an increase in dishonest behaviour in bank employees (P = 0.033, two-sided rank-sum test, n = 128). By contrast, no significant treatment effects were found in non-banking employees (P = 0.128, two-sided rank-sum test, n = 133) and students (P = 0.390, two-sided rank-sum test, n = 222). b, Results of a survey of individuals from the general population. Participants guessed the reported percentage of successful coin flips of either physicians (n = 44), bank employees (n = 48), prison inmates (n = 45) or the general population (n = 46). Bank employees are perceived to be less honest than physicians (P = 0.005, two-sided rank-sum test) and people from the general population (P = 0.080, two-sided rank-sum test). Bank employees are believed to behave about as dishonestly as prison inmates (P = 0.558, two-sided rank-sum test). Error bars indicate s.e.m. Our results suggest that the prevailing business culture in the banking industry favours dishonest behaviour and thus has contributed to the loss of the industry’s reputation. In contrast to their public image, however, we find that bank employees behave honestly on average in the control condition. To examine how bad bank employees’ reputation is, we asked people from the general population about the percentage of successful coin flips they would expect bank employees to report in the coin tossing task. Other survey participants were asked how physicians, prison inmates, or people from the general population would behave in this task. The participants believed that bank employees would be the most dishonest group; they believed that bank employees would report a rate of 64% successful coin flips, which corresponds to a cheating rate of 27%. This result, together with representative evidence from other sources, shows that the banking industry currently has a very bad reputation. People’s confidence in the honesty of bank employees is a key asset for the long-term stability of the financial industry. Understanding the determinants of dishonest business practices is therefore essential for the development of possible remedies. Our results suggest that banks should encourage honest behaviours by changing the norms associated with their workers’ professional identity. For example, several experts and regulators have proposed that bank employees should take a professional oath analogous to the Hippocratic oath for physicians. Such an oath, supported by ethics training, could prompt bank employees to consider the impact of their behaviour on society rather than focusing on their own short-term benefits. A norm change also requires that companies remove financial incentives that reward employees for dishonest behaviours. In addition, existing research suggests that ethics reminders may promote compliance with the honesty norm. The use of ethics reminders requires a detailed analysis of work routines to find out where and when employees make critical decisions regarding norm obedience, so that normative demands can be rendered salient at the right time and place. These measures may be an important step towards fostering desirable and sustainable changes in business culture. When Johanna Wanka was a mathematician in communist East Germany, any foray into politics carried huge risks. In the mid-1980s, she and her husband Gert, also a mathematician, turned the weeklong political indoctrination held every fall at their university in the small town of Merseburg into an open discussion session. It earned them a disciplinary action, effectively freezing their careers. When a close friend was arrested in 1982, Wanka realized that if she and her husband were ever put in prison, their two young children could be sent to an institution. “That was our biggest fear,” Wanka told Science recently in a wide-ranging interview. Today, Wanka is at the heart of science politics as federal research minister of the reunited Germany. Later this year, she will literally move close to the pinnacle of German power, when she and her staff relocate from the current ministry building—which served as West Germany’s embassy in East Berlin—to a gleaming new one within view of the office of Chancellor Angela Merkel, a physicist who also grew up in the former East. Politics isn’t nearly as terrifying as it was 30 years ago, but after 15 months in office, Wanka, now 63, faces major challenges. Discussions on how to spend €9 billion in promised funding for research and education over the next 4 years are dragging on because of deep disagreements between the federal and Länder (state) governments over who decides how the money is used. In the balance hangs the fate of several landmark programs started by Wanka’s predecessor, Annette Schavan. German science leaders want action. In a rare joint statement on 19 May, the heads of the German Research Foundation (DFG), the German Rectors’ Conference, and the German Council of Science and Humanities called on politicians to “surmount the paralyzing blockade and to finally act.” They asked for a “substantial part” of the €9 billion to go to the country’s budget-squeezed universities and to research institutions, and pleaded for a change in the constitution that would allow the federal government to help with long-term financing of universities. Failure to act would set back the research system for years to come, they warned. Wanka previously served as minister of science and culture in the states of Brandenburg and Lower Saxony; she took her current post in February 2013, when Schavan, a close ally of Merkel, resigned after losing her Ph.D. in a plagiarism scandal (Science, 15 February 2013, p. 747). Coming in just months before federal elections, she had little room to maneuver. She kept her post after the center-right Christian Democrats—the party to which she and Merkel belong—formed a new coalition government with the Social Democrats in November. Wanka found Germany’s science landscape in better shape than any time since the second world war. Research spending has increased continuously since Merkel took office, and in 2012, public and private research spending combined, at €79.5 billion, reached 3% of the gross domestic product for the first time. Meanwhile, several high-profile programs have helped make German research more competitive. The widely praised €4.6 billion Excellence Initiative, for instance, gave universities the chance to compete for extra funding and the title of “elite university” (Science, 20 October 2006, p. 400). Meanwhile, the Joint Initiative for Research and Innovation has poured money into nonuniversity organizations like the Max Planck Society and the Helmholtz Association, with 5% annual increases from 2011 through 2015. Science managers are anxious for the good times to continue. The new coalition has set aside an extra €9 billion for research and education, and it has pledged part of that money to keep raising the budgets of nonuniversity organizations. Wanka says she wants to lock in a 3% annual increase for the next 4 or 5 years. That is welcome news, says Karl Ulrich Mayer, president of the Leibniz Association, which is home to 89 research institutes and museums. But between a 5% salary increase negotiated by unions last year and already-planned projects, “there will be a squeeze on real increases,” he says. The bigger worry, however, is the state of the universities. Under the German constitution, basic financing of education, including universities, is the responsibility of the Länder. The coalition has set aside two-thirds of the €9 billion to help the states. State leaders want a large portion of that money without any strings attached, but the federal government wants at least part of it earmarked for universities. Student numbers are rising every year, buildings are old and in need of repair, and many Länder are pressed for money. As a result, the gap between research at universities and at institutions like Max Planck is widening, says Horst Hippler, head of the German Rectors’ Conference. “The key question is how to finance the universities with federal funds,” says Ernst-Ludwig Winnacker, secretary-general of the Human Frontier Science Program Organization and a former DFG president. Wanka says politicians with a background in science perhaps approach politics more pragmatically. “We may think more … like in a chess game.” German scientists are waiting expectantly for her next move. When a freighter carrying 5,000 sheep capsized at the docks in Kuwait harbor in the Persian Gulf and threatened to contaminate a water-purification plant, an idea from a Walt Disney Donald Duck cartoon helped to raise it. 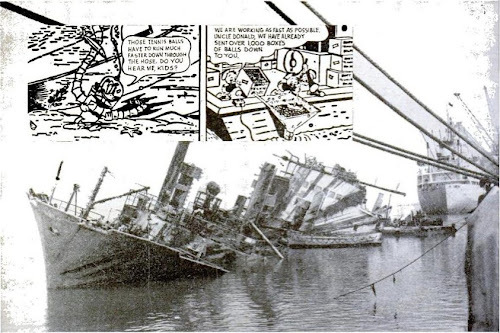 Karl Kroeyer, a Danish engineer called in, remembered the cartoon in a Copenhagen newspaper. 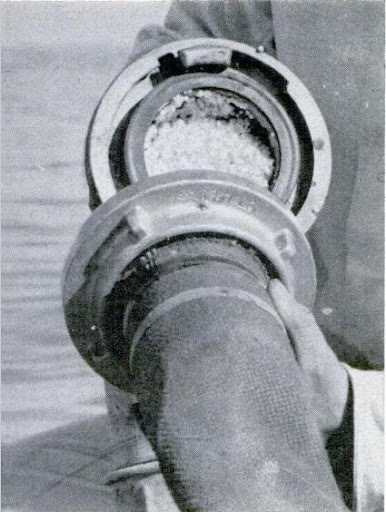 Plastic-foam bubbles are shown at connection where one hose was uncoupled for inspection. In it Donald pumped tennis-balls into the hold of a sunken ship to displace the water and give the ship enough buoyancy to float. Instead of tennis-balls, Kroeyer used polystyrene foam. The plastic is in crystals that heating expands to air-filled bubbles occupying 40 times the volume. The freighter’s keel was weighted and the bubbles pumped first between the two highest decks, then into lower holds. It took 150 tons of foam and three months to raise the ship and tow it savely away. 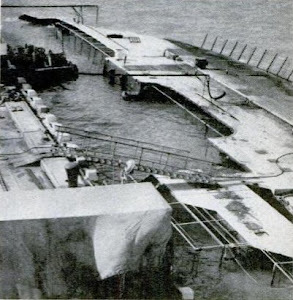 Capsized freighter lies on her side at dock in Kuwait. Sacks of polystyrene are at upper left. 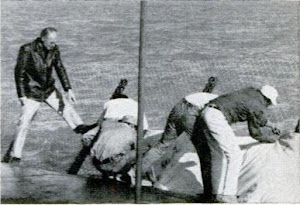 Sandbags are placed on wire fencing attached at keel to counterbalance weight of superstructure. The kind of food an organism consumes has a broad reaching impact on its development, behavior, and lifespan. In this issue, two papers, MacNeil et al. (pp. 240–252) and Watson et al. (pp. 253–266), explore the effects of diet on these life-history traits in the nematode C. elegans. Combining nutrigenomics and network analyses, they find that different diets affect traits via distinct mechanisms. The response to diet is coupled to metabolic changes, and disruptions of some of these specific metabolic pathways correspond to inborn errors of metabolism in humans. 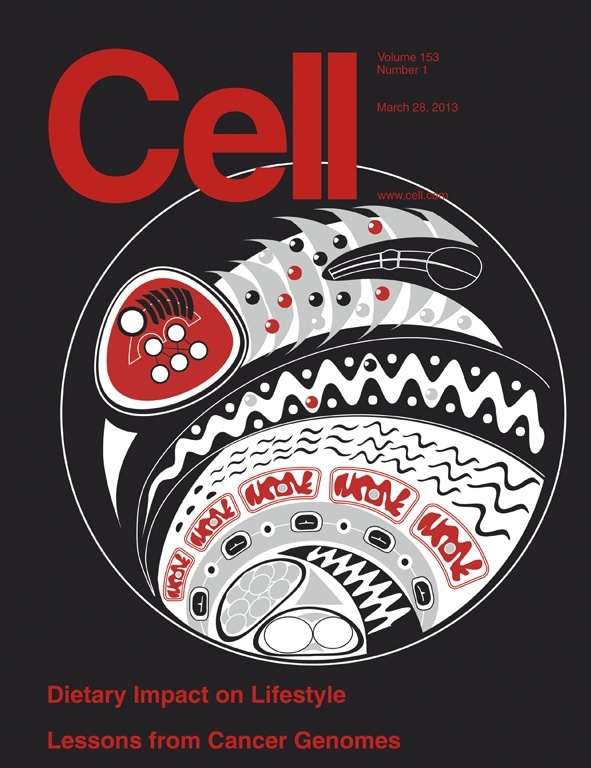 The cover features a “native-art-inspired abstraction” of a worm eating a bacterial diet and illustrates the interconnectedness between diet, nuclear gene regulatory networks, mitochondrial networks, and their effects on life-history traits such as development and brood size. Cover art by Lesley T. MacNeil. Dietary composition has major effects on physiology. 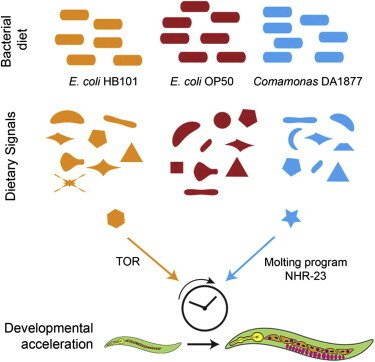 Here, we show that developmental rate, reproduction, and lifespan are altered in C. elegans fed Comamonas DA1877 relative to those fed a standard E. coli OP50 diet. We identify a set of genes that change in expression in response to this diet and use the promoter of one of these (acdh-1) as a dietary sensor. Remarkably, the effects on transcription and development occur even when Comamonas DA1877 is diluted with another diet, suggesting that Comamonas DA1877 generates a signal that is sensed by the nematode. Surprisingly, the developmental effect is independent from TOR and insulin signaling. Rather, Comamonas DA1877 affects cyclic gene expression during molting, likely through the nuclear hormone receptor NHR-23. Altogether, our findings indicate that different bacteria elicit various responses via distinct mechanisms, which has implications for diseases such as obesity and the interactions between the human microbiome and intestinal cells. Expression profiles are tailored according to dietary input. However, the networks that control dietary responses remain largely uncharacterized. Here, we combine forward and reverse genetic screens to delineate a network of 184 genes that affect the C. elegans dietary response to Comamonas DA1877 bacteria. We find that perturbation of a mitochondrial network composed of enzymes involved in amino acid metabolism and the TCA cycle affects the dietary response. In humans, mutations in the corresponding genes cause inborn diseases of amino acid metabolism, most of which are treated by dietary intervention. We identify several transcription factors (TFs) that mediate the changes in gene expression upon metabolic network perturbations. 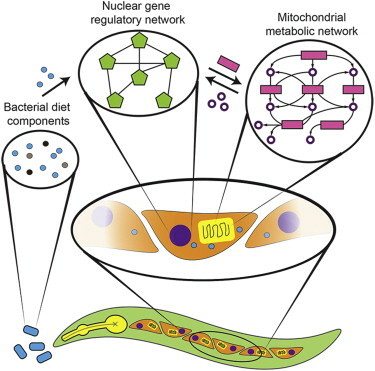 Altogether, our findings unveil a transcriptional response system that is poised to sense dietary cues and metabolic imbalances, illustrating extensive communication between metabolic networks in the mitochondria and gene regulatory networks in the nucleus. The biguanide drug metformin is widely prescribed to treat type 2 diabetes and metabolic syndrome, but its mode of action remains uncertain. 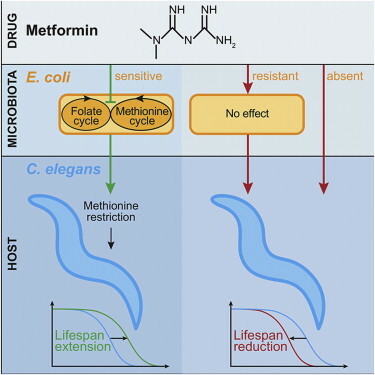 Metformin also increases lifespan in Caenorhabditis elegans cocultured with Escherichia coli. This bacterium exerts complex nutritional and pathogenic effects on its nematode predator/host that impact health and aging. We report that metformin increases lifespan by altering microbial folate and methionine metabolism. Alterations in metformin-induced longevity by mutation of worm methionine synthase (metr-1) and S-adenosylmethionine synthase (sams-1) imply metformin-induced methionine restriction in the host, consistent with action of this drug as a dietary restriction mimetic. Metformin increases or decreases worm lifespan, depending on E. coli strain metformin sensitivity and glucose concentration. In mammals, the intestinal microbiome influences host metabolism, including development of metabolic disease. Thus, metformin-induced alteration of microbial metabolism could contribute to therapeutic efficacy—and also to its side effects, which include folate deficiency and gastrointestinal upset. Systematic studies of the cancer genome have exploded in recent years. These studies have revealed scores of new cancer genes, including many in processes not previously known to be causal targets in cancer. The genes affect cell signaling, chromatin, and epigenomic regulation; RNA splicing; protein homeostasis; metabolism; and lineage maturation. Still, cancer genomics is in its infancy. Much work remains to complete the mutational catalog in primary tumors and across the natural history of cancer, to connect recurrent genomic alterations to altered pathways and acquired cellular vulnerabilities, and to use this information to guide the development and application of therapies. The Spirit‘s newspapers stories (and also the stories published on Quality magazines) are in public domain. I found that the beginning of this story is really interesting, with its intriguing theory about time. 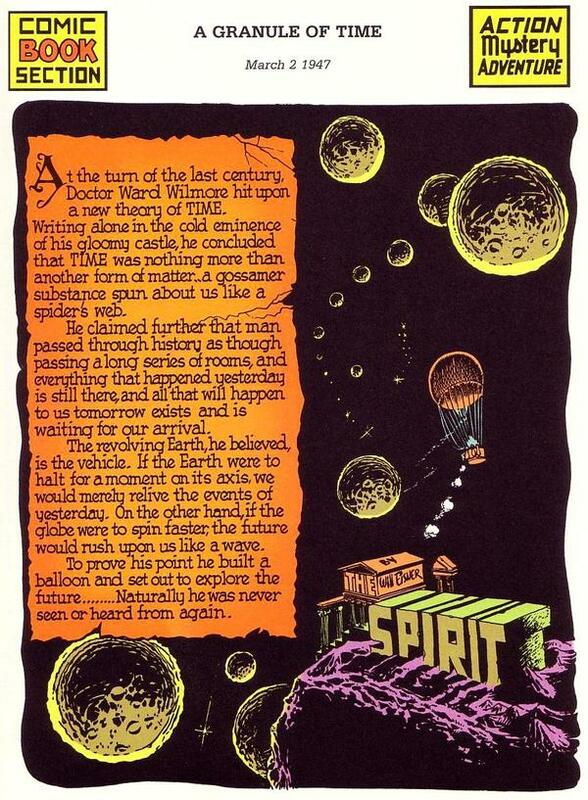 So I would share with readers, but I didn’t find the public domain version, and I realize a cbr file with the first page from newspaper (via Comic Vine) and the story extracted from The Spirit #1 published by Jim Warren.